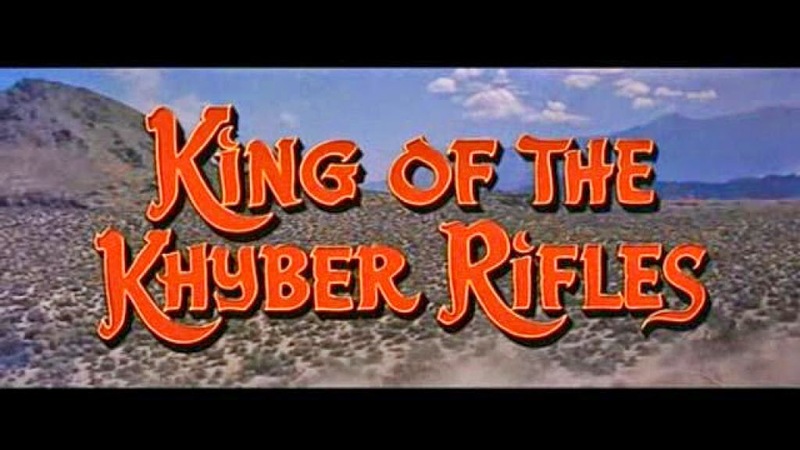 KING OF THE KHYBER RIFLES begins its 100 minute gallop with a marvelous surge of excitement as Bernard Herrmann unleashes one of the most blood-thrilling main title themes ever, right up there with the more famous blasts that announce The Magnificent Seven and How The West Was Won. Herrmann’s genius for mood goes overdrive this time on Exotic Adventure —here it’s the rebellion-wracked British India of 1857—rather than the (outright) fantasy and suspense scenarios he’d be more associated with later such as Mysterious Island and Psycho. 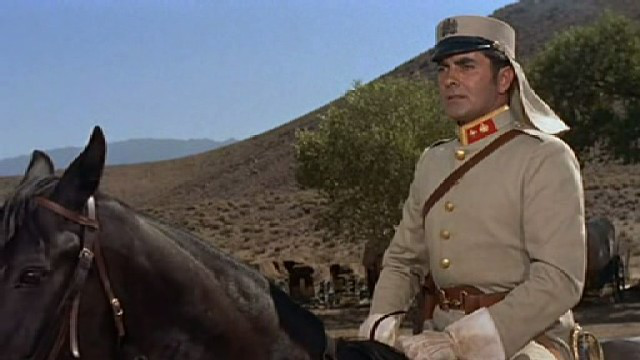 The eponymous ‘King’ is played by Tyrone Power, looking great at 39, back on a fresh roll of hits, directed for the ninth of eleven times by another King, the under-appreciated Henry King. Swiped freely from a well-known novel by Talbot Mundy as well as lifting from John Ford’s first talkie, 1929s The Black Watch, at 25th place for the year, the film was a moneymaker, grossing $7,900,000, but was consigned to the so-so heap by critics over the years. It has one painful flaw that keeps it out of the top tier occupied by the likes of Gunga Din: the cartoon casting of Terry Moore as the leading lady. There are paper bags, there are the kind you can’t act your way out of, and then there’s the Terry Moore brand. It helped, apparently, to be Howard Hughes girlfriend/mistress/wife ( her status depending on who’s account you count). Her line deliveries—forget that she’s supposed to be British—are alone enough to incite tribesmen to revolt without any oppression from England. Contrast her Glendale High School intonations with those of the mellifluous Power or the dignified Michael Rennie and it’s double-gin-time in the officers mess. 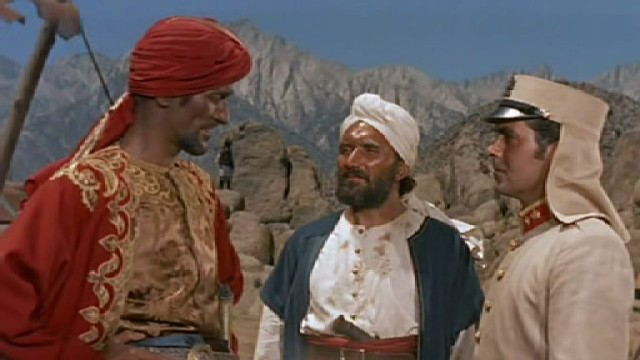 Black-hearted villainy comes from tall, hawk-faced Guy Rolfe as ‘Karram Khan’, who enjoys pig-sticking bound captives. Even Rolfe’s beard is sinister. Before I kill you,allow me to demonstrate my eloquent sneer. There’s a cool dust storm, a few requisite dancing girls, bagpipes, a thoughtful sub-theme showing up racial intolerance (Captain King is a half-caste), and a whopper of a climactic battle atop a mountain stronghold to help you refocus your vision left cross-eyed by Ms.Moore. This 1953 rouser was a sort of Building Block movie for me, as I first beheld it at age six, via NBC’s Saturday Night at the Movies’. 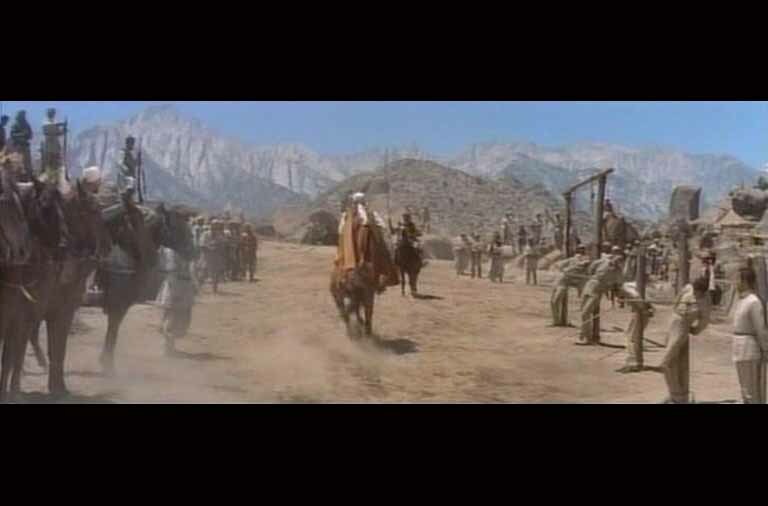 Even with Leon Shamroy’s CinemaScope color views of the Himalayas (stood in by the Sierras around Lone Pine, California) frame-cropped in black & white on a 19-inch television, enough lure of dashing-danger-in-far-away-places came across: I just knew I’d have to get there someday. Lousy guidebook left out this part of the trek information. Brass balls, bad guys hash to settle, Bernard Herrmann’s chords telling you there is simply no other way. Now, what this boils down to is not that one should hurtle blindly into some fanatic’s mountainous foreign land without an exit strategy (let alone to the…oops…wrong place, for made-up reasons, on behalf of assholes). It means that maybe it’s important to keep the six-year olds sense of wonder about what lies beyond the backyard. Fight to keep a bit of untainted Golden-rule nobility flickering somehow, somewhere— in that conveniently too-jaded cynic slogging through the debris that’s been left of Civilization. If nothing else, that spheres-clanker of a title ought to tell you it’s all-clear to load up guests on M&Ms peanuts, Red Vines and Jack Daniels, saving the baby carrots, sugarless peach-ade and organic curds for whoever skips in by accident expecting Thoroughly Modern Millie.